Tank Bag Electrification as described here is an invasive procedure! 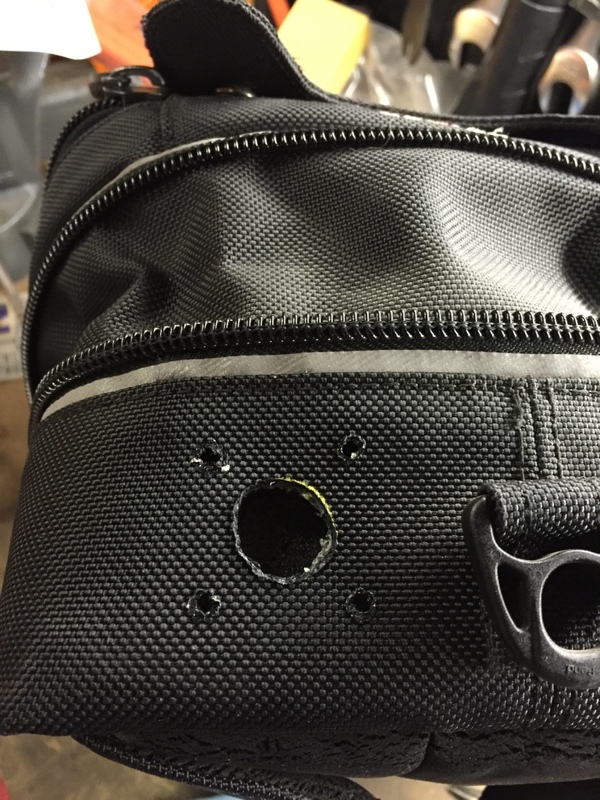 You’ll be cutting holes in your tank bag using a soldering iron to melt the edges of the hole. 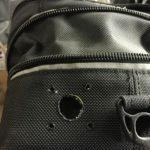 The soldering iron will melt the polyester and prevent the holes from fraying but you will be making irreparable holes in your tank bag. This really works but it is quite invasive and there’s no going back once the holes are cut and melted. So, follow these guidelines at your own risk! Having power in my tank bag has revolutionized my life (not really but it has been handy). While the instructions in the kit were pretty good, pictures help a great deal so I’ve put together this page to help others see that this isn’t really that hard. Enjoy! 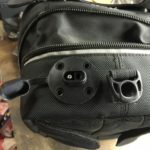 Luggage Electrix PTB-004 Basic Tank Bag and Saddlebag Power Kit – This is the basic kit to get the power into the bag. 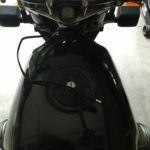 If you have previously added a Battery Tender to your motorcycle you will already have the SAE plug-equipped cable attached to your battery. Hold on to that spare cable; you never know when you might need it! 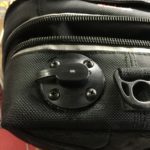 Luggage Electrix PAC-030 SAE to Dual Cigarette Socket Y-Cable – Because I have two devices to power and both had cigarette lighter power plugs for use in a car I got one of these. 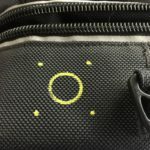 Think about the devices you need to power and get the appropriate connector from Luggage Electrix. Luggage Electrix PAC-022-48 SAE 48″ Extension Cable – I knew I wanted to have the power plug at the front of the bag instead of the back so I bought this extension cable. 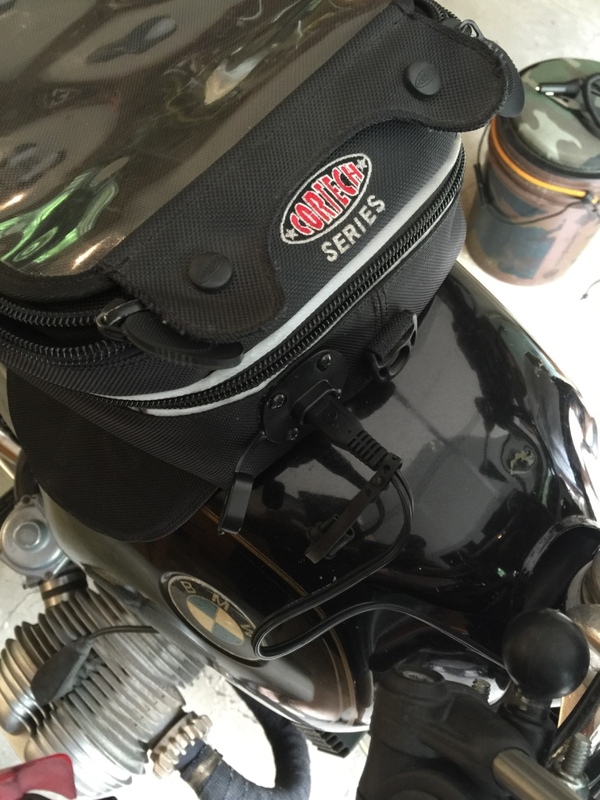 your tank bag – OK, duh, but I wanted a way to re-warn readers. This is an invasive procedure! 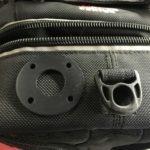 If your tank bag is a vintage, irreplaceable make or model, think about picking up a used one off craigslist to give this a try. The next thing you need to do is read the instructions in the kit. The instructions are clearly written and will guide you through the process. Read them through a couple of times to make sure you understand what they’re wanting you to do. The pictures that follow will give you an idea of how I executed the instructions. There are a couple of things to think about when you’re planning this mod. 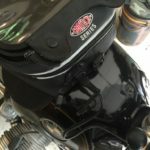 Think about how much room you have between you and the tank bag when it comes to connecting the power. 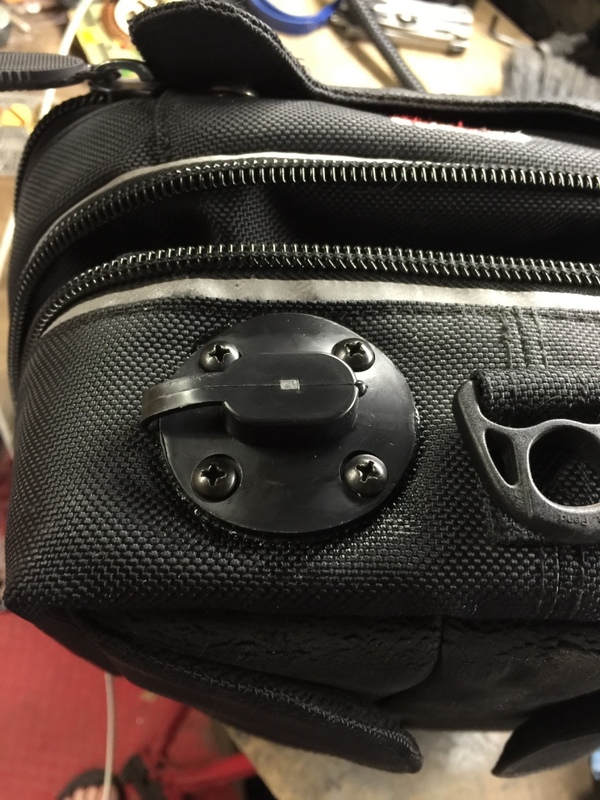 To keep things roomy for me, I installed the power port on the front of the bag so I wouldn’t knock it around getting on and off the bike. This meant that I needed to think about how to deliver the power to the front of the bike. To do that I routed the power under the fuel tank. This gives me a nice clean look and keeps the power plug safely up front. 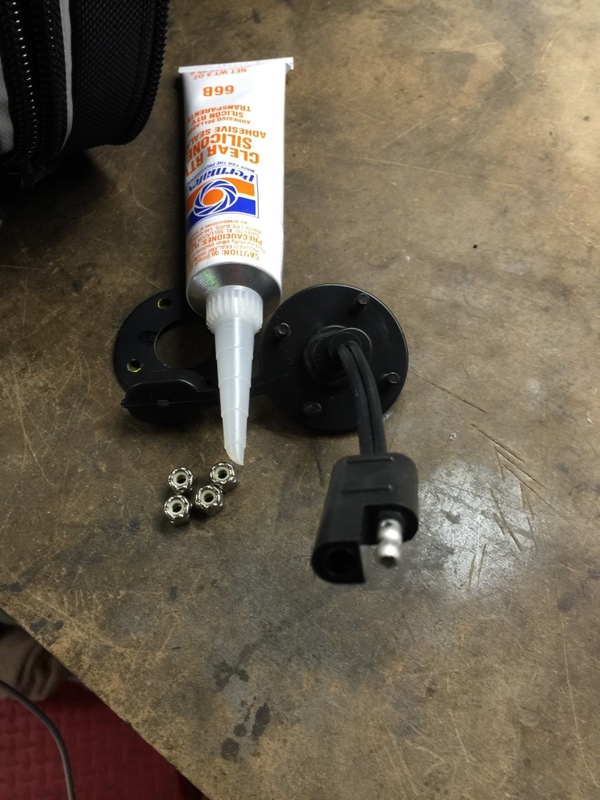 Step 1 – decide where to place the power inlet. 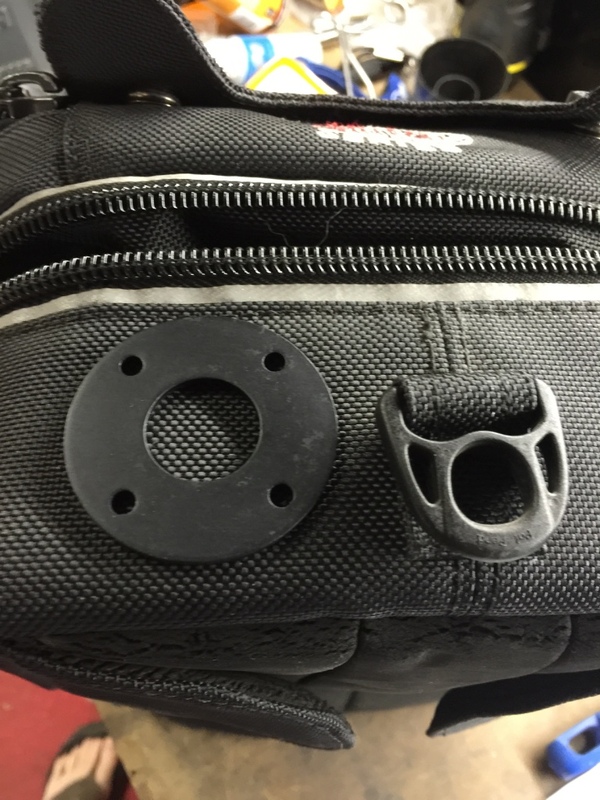 I chose to install the power inlet at the front of my tank bag. Step 2 – use the paint pen to mark the holes you need to make with the soldering iron. Step 3 – cut the holes using the soldering iron. 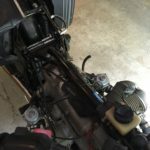 Step 4 – test fit the power inlet installation. 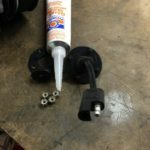 Step 5 – apply the RTV! 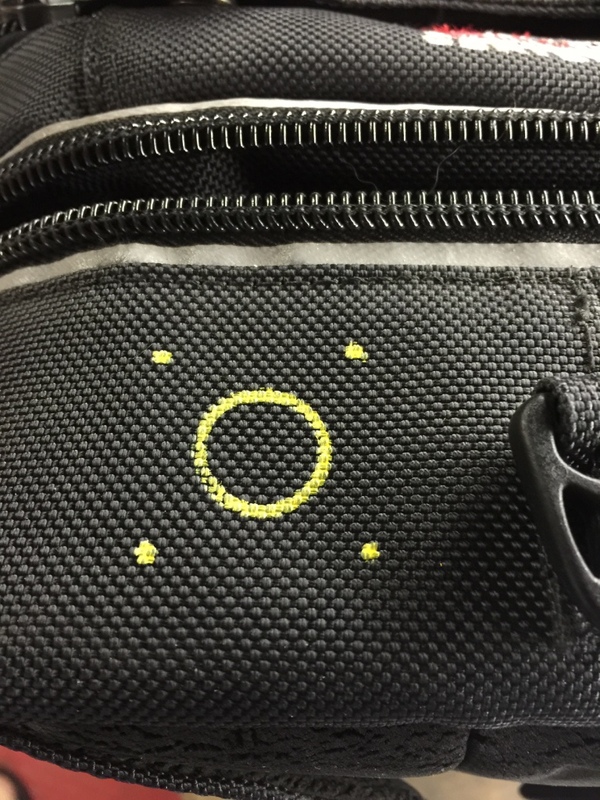 Step 6 – the electrification kit is installed in the tank bag! 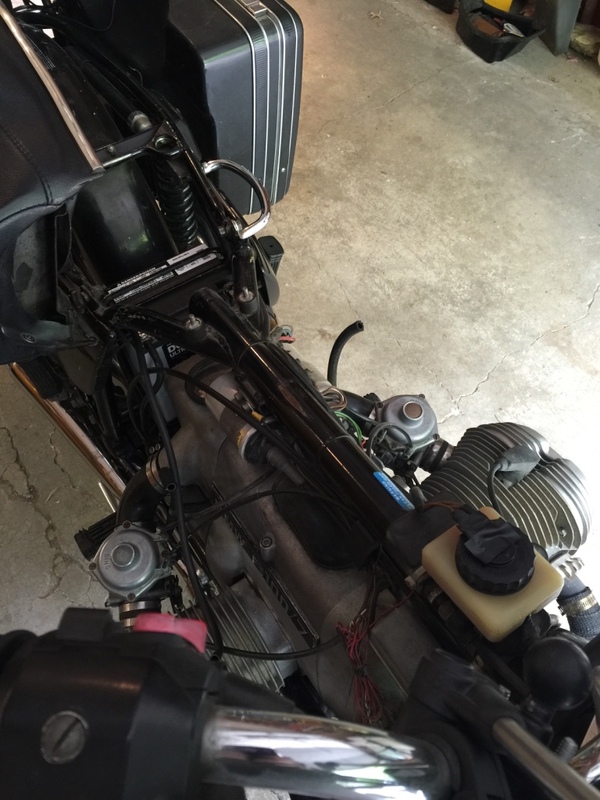 Step 7 – I removed the fuel tank so I could route the extension cable from the battery to the front of Otus. 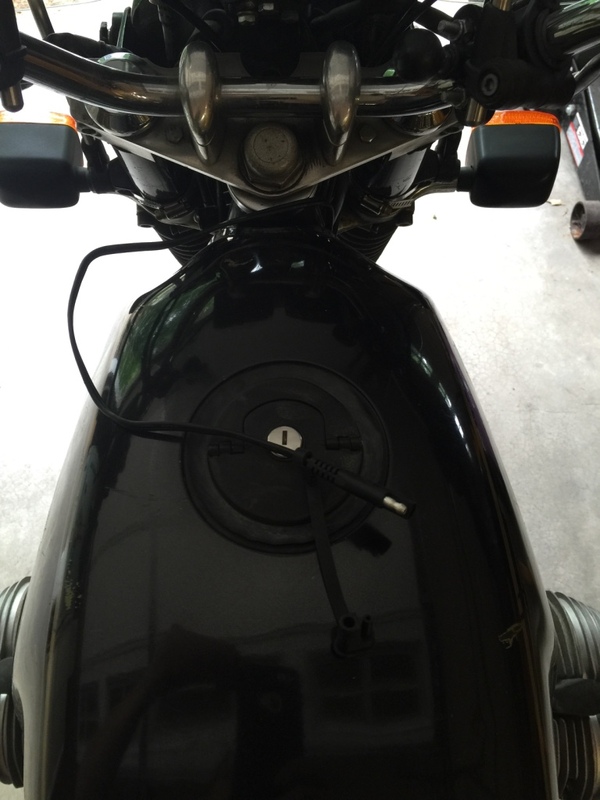 Step 8 – extension cable routed and fuel tank re-installed. 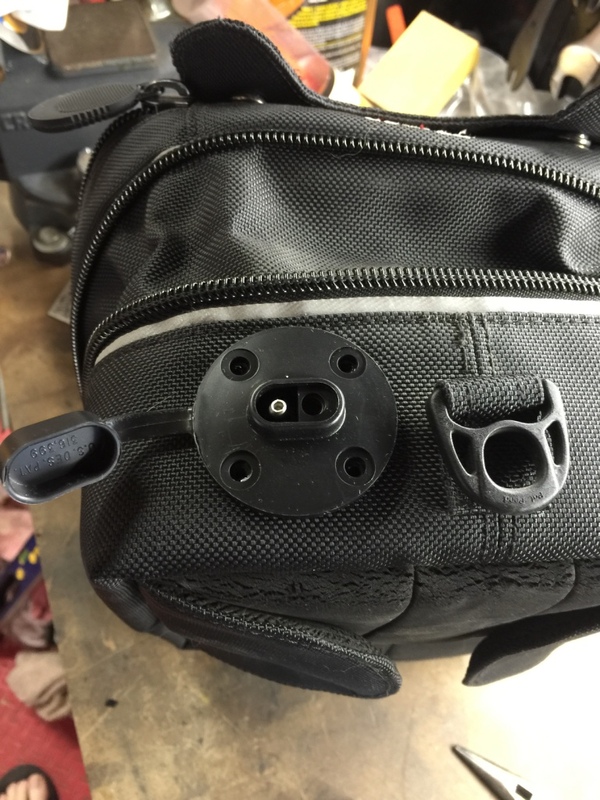 Step 9 – tank bag in place and connected. 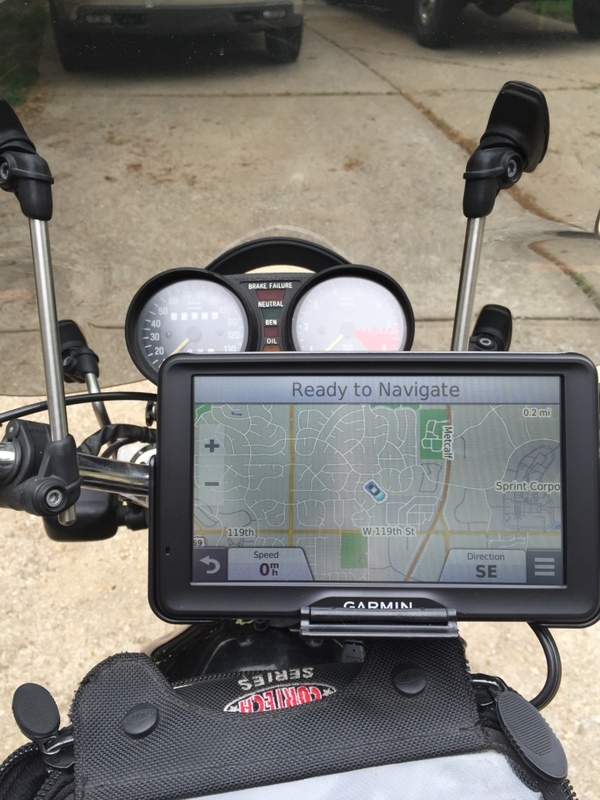 Step 10 – ready to navigate! 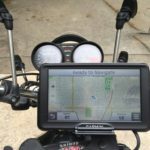 This project was a lot of fun and made my tank bag even more useful!